Student Government (SG) approved separate resolutions to create an advisory board to the University Community Service Center (UCSC) and to analyze the charter of the Independent Review Committee (IRC) at its General Assembly meeting last night. The UCSC resolution was passed due to student complaints over UCSC’s recent restructuring. Earlier this year, UCSC administrators made several changes to the organization’s operating structure that some students believed did not adequately take student opinion into account. The resolution describes the board’s objective as “advis[ing] the UCSC staff and directors on matters relating to its overall mission.” To this end, the board will convene on a regular basis to discuss UCSC’s current and future programs, as well as its hiring processes. While the board holds no veto power over any administrative decision, such as which candidates for jobs within the UCSC are hired, it will issue recommendations to the UCSC. Some SG representatives, including second-year Holly Rapp, agreed with Chan’s line of logic. “It doesn’t make sense to make two committees for the same purpose… Perhaps our political capital could be best used elsewhere,” Rapp said. Second-year representative Mark Sands helped draft the resolution and spoke in favor of it. “The whole point of us making an advisory board is to make sure that UCSC receives input that is student-driven and free from outside influences. In making its own advisory board, UCSC is making a body of unknown composition,” Sands said. The resolution passed, 17 to 5, with one abstention. The resulting advisory board will be composed of one SG representative, three Community Service Recognized Service Organization (CSRSO) leaders, three student association members, and four faculty members. The other major agenda item was the creation of an internal SG working group to evaluate the validity of administrative assertions that impartiality is a necessary condition for one to become a member of the IRC. 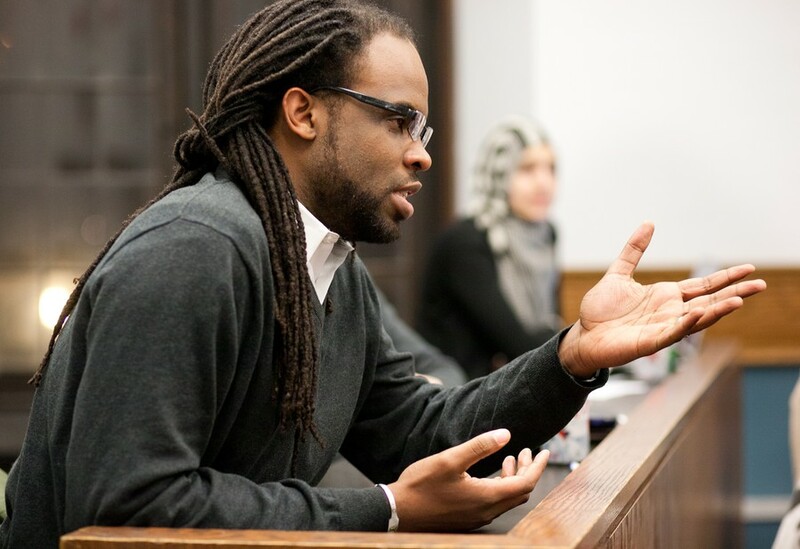 Ninth-year history Ph.D. student Toussaint Losier was recently rejected for the IRC because the administration questioned his impartiality. The resolution to create the group was passed via voice vote, with second-year Mike Viola being the only SG member to vote against the proposal. SG nominated Losier for a position on the IRC, which reviews complaints against UCPD policing practices, in early October. Last year, UCPD officers arrested Losier during a protest calling for the creation of an on-campus adult level-1 trauma center. On Thursday, Losier received an e-mail from Eleanor Daugherty (A.B. '97), associate dean of the College, which cited his arrest as a reason why he would be less than impartial toward the UCPD, a characteristic which she considered to be a principle embedded in the charter of the IRC. The newly created group will not review the specific rejection of Losier from IRC, but rather attempt to evaluate whether impartiality is a logical criterion for IRC membership. During the meeting, Losier questioned whether impartiality is the best criteria for IRC members to be held to, and what relationship between the interests of students and police impartiality implies. “Attempting to be impartial makes a lot of sense for an organization that is attempting to maintain good relations with the police. But if there is a question of [UCPD] accountability, it stands to reason that partiality, in respect to the views of IRC members, could produce a body that is truly independent from the police department,” Losier said.